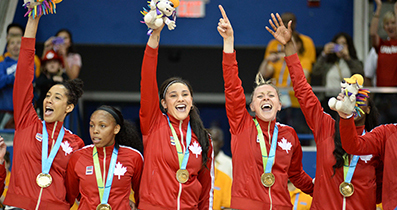 Congratulations Canadian Senior Women’s Basketball Team!!! Congratulations Canadian Senior Women’s Basketball team we love you and admire your perseverance. When nothing seems to help in your drive for gold, you got to go and look at a Stonecutter for instance. A Stonecutter will hammer away at rock perhaps hitting the rock a hundred times without as much as a crack after putting in the hard work. Yet, by the hundredth and one hits it will split in two, and everyone knows it wasn’t that strike that did it. But at the end of the day, all that hard work you did before got you to the point of success now. We can say that you achievers of something big. Keep working hard ladies and way to represent Canada in the Rio Olympics. With all that hard work you have achieved we all can certainly hope we get at least a medal during Rio 2016 and you will. Go Canada Senior Women’s Basketball Team!!! 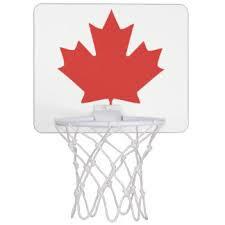 The CaThis brings us to our Canadian Senior Mens Basketball Team whom have arguably been very successful individually in having the most NBA basketball players on a single team outside of the United States. Inevitably in the coming years the Canadian Senior Men’s team will naturally be more successful or will we have to wait 8 more years down the road. Our young group of superstars will mature and gain more experience as they emerge from the basement in the international basketball rankings. In any event we love and give thanks to players who made a commitment to play for our country, but is everyone satisfied? Well there was an article written by an author from Canadianballers.com that raises the question of why? Why hasn’t the Men’s Senior team been to the last 4 Olympics? I think it’s only fair to read the point of view by Canadian ballers.com below and you can hopefully find the answer to the question on your own. As side from all the pessimism that the sporting industry gets from time to time, we at Matik Media Enterprises Magazine want to focus on the success of the Canadian Senior Women’s team and ask everyone in Canada to stand by and cheer for them in route for seeking a medal. 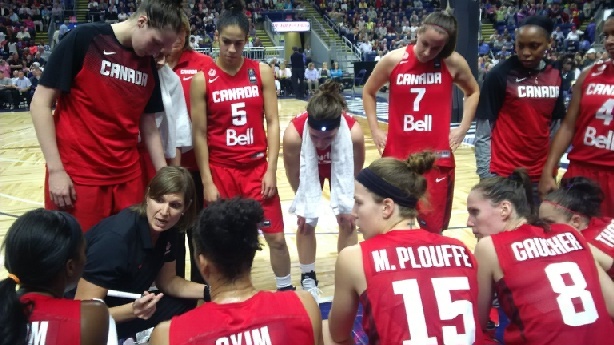 We are proud of the Canadian Senior Women’s team and hope that other Canadian teams see this team as beautiful example of working together through thick and thin. We salute you and thank you for the awesome effort throughout the Olympic Games Rio that everyone in the world is witnessing with joy.